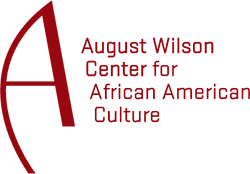 As the fate of Pittsburgh’s treasured August Wilson Center for African American Culture inches closer to foreclosure, it is time to step back from this pitched battle between bidders, bankers and community authorities and examine amicable and innovative solutions. In my view, we should explore combined and creative ways to use available and prospective resources to satisfy the center’s debt with an eye toward preserving the integrity and viability of the center’s future. This solution would include contributions from all of the players. Without wading into the dispute and legal entanglements that have marred the potential sale of the center, why not explore resolutions that encourage the growth and attractiveness of that site while saving the center. Let’s strike an agreement with the hotel developer that would enhance the appeal of that area, generate greater tourism and attract even more financial investment to that part of the city. In doing so, why not negotiate a way to use some of the hotel’s resources to help preserve the center? Payments for air space, hotel access through the center and some mutually beneficial rental agreement would help retire the debt, preserve the center’s noble mission and support its operation into the future. Why not also work in the $5 million offer from the Pittsburgh Foundation, the Heinz Endowments and the Richard King Mellon Foundation to further the original mission of the center? Using these combined resources would more than cover the center’s debt and bolster its viability for years to come. In essence, we need to reach a resolution that welcomes this promising development while preserving the center’s space and original mission. All of the parties in this matter have already expressed a willingness to pursue such a workable resolution. We just need to find a creative way to put such an arrangement together. I am confident that if the players in this matter step away from entrenched positions, we can find a way to make this work. Once we agree to such a blueprint, I am confident the financial details will work themselves out. So, let’s get started. Before some bankruptcy court chooses winners and losers, let’s first bring everyone together to see what we can collectively accomplish.